Last night, I attended "a symposium to launch the 2430 Arts Alliance." 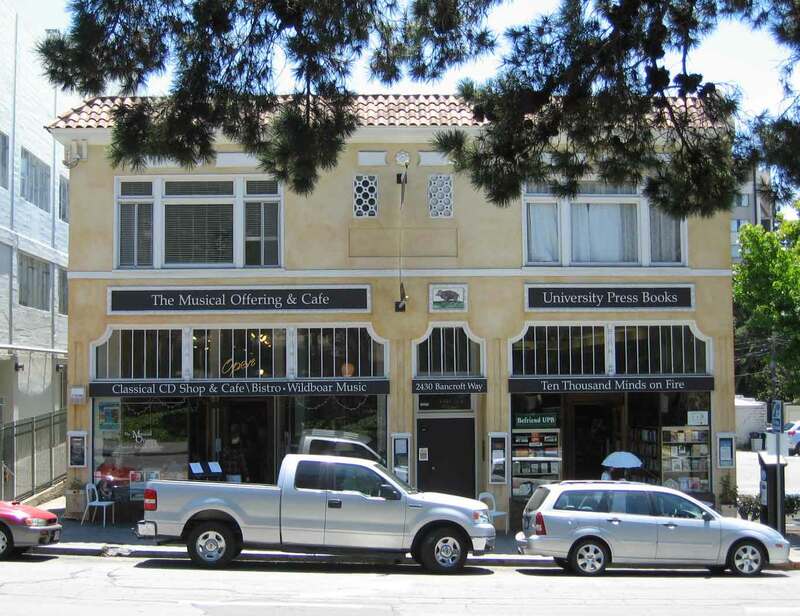 This foundation exists to support Musical Offering and University Press Books, the two endangered enterprises housed on the ground floor of the building, and provide a bridge between them and the community by sponsoring musical and literary events, both in the building and on the campus. Registered as a charitable foundation, the 2430 Arts Alliance is definitely a worthy cause for anyone who values continued access to the classical music CDs and noteworthy books - new and used - on offer inside. UPB separately runs a "Friends of UPB" group that can be joined for the modest fee of $35/year (or a ridiculously low $350 for life membership). Joining gets you an accumulating credit for books purchased. Why patronize them when Amazon is a click away? First and foremost, there are the pleasures of the place itself, shared with the Musical Offering Cafe and the knowledgeable staff on both sides. Second, one can peruse at leisure. Third, one can avoid the inducements to buy that are a hallmark of Amazon, and thus sidestep the disappointments of whim. Fourth, imagine a world without these two cultural landmarks. A grim world, indeed!